Today is the 20th Anniversary of the first episode of the Simpsons series. 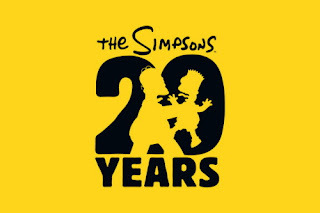 The celebration of this 20 years will culminate in January 2010 with a documentary special entitled "The Simpsons 20th Anniversary Special in 3D on Ice". This special will examine the cultural phenomenon of "The Simpsons" and will document how the world sees the Simpsons and how The Simpsosns family has seen the world for two decades. It will be produced and directed by filmmaker Morgan Spurlock, star of "Super Size me" and "30 Days". Te quiero corazón. Espero que el nuevo año traiga calma a tu espíritu y trankilidad a tu alma. También a la mía y a la de todos aquellos a los queeremos.